These Apple Cinnamon Baked Oatmeal Cups are easy to make in one bowl and are toddler-friendly! What we have here is the perfect apple-cinnamon oatmeal breakfast. To go. When I made my Double Chocolate Strawberry Baked Oatmeal Cups this summer, I promised that more flavors of these portable breakfast cups would be coming out of my kitchen. Here’s the fall version that is absolutely wonderful with a strong cup of black coffee. Or a cream-filled, sugared up version. Whatever makes you happy. Because I rarely have time to spend a whole lot of time on breakfast, I mixed the ingredients together the night before and then just baked it in the morning. It worked perfectly. The leftovers make for a great, quick breakfast or a nourishing snack. They are just barely sweet, with only a little banana acting as a sweetener. (You can’t taste the banana that is baked into these.) The soft, cinnamon-spiked apple pieces are perfect against the creamy oatmeal center. I’m pretty sure that these baked oatmeal cups are the perfect breakfast for busy moms who want a quick, yet healthy breakfast for their kids. You can even make a double batch and freeze some to have on hand for mornings when everyone sleeps late or you just don’t have time to sit down and have breakfast at the table. Note: Since publishing this, I have started making these in these silicone baking cups and love them for easy storage. Either way works! If you plan to bake these right away, preheat your oven to 375 degrees. If not, that part can wait until the morning. In a large bowl, combine the oats, baking powder, salt, and cinnamon. Add the milk, egg, and mashed banana and mix until combined. Stir in the apple. You can either put the mixture into the fridge overnight or continue with the directions and bake right away. 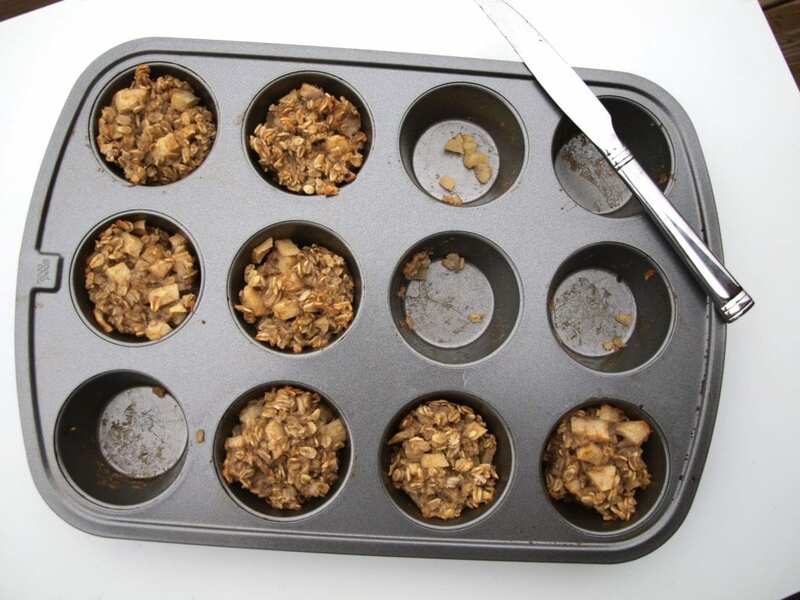 Grease a muffin tin and fill each cup with the oatmeal mixture to just about the top. Bake in a 375 degree oven for 20-25 minutes, until the cups are set. Store in the fridge or these can also be frozen. Enjoy! Because I knew I was making these for my 9 month old son, I only used 1/8 teaspoon salt and 1/2 teaspoon cinnamon. If you are not making these for a baby and you prefer a stronger cinnamon flavor, increase the salt to 1/4 or 1/2 teaspoon and cinnamon to 1 teaspoon. These are naturally sweetened with the banana and are not super sweet. You can add up to 1/4 cup honey or maple syrup if you’d like to make them sweeter. Luke loved these. He ate three cups. Meghan ate one cup. 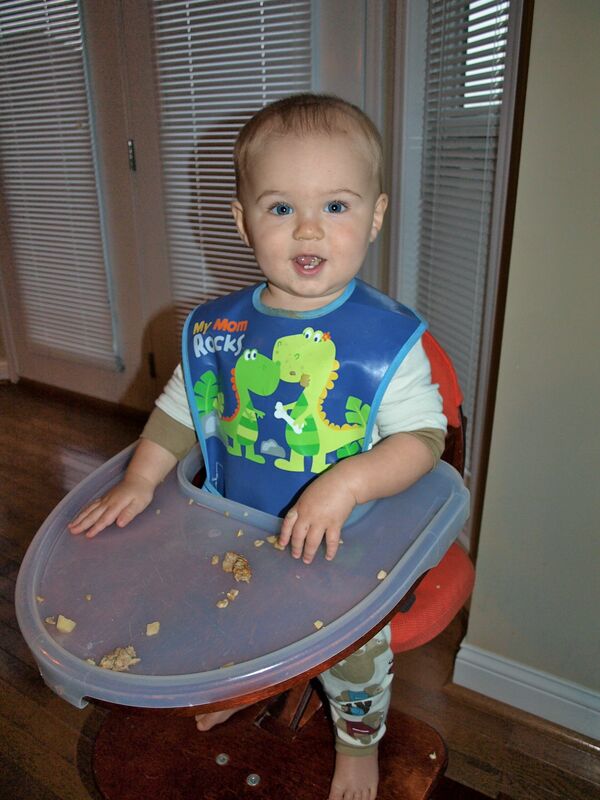 Yes, my 9-month-old son ate more than my 4-year-old daughter. Meghan liked them, but they weren’t her favorite. After she ate hers she told me she didn’t like the apples inside. What? Umm…that’s the best part. And we eat baked cinnamon apples with dinner about once a week and she loves those. I don’t try to understand a four-year-old mind. While Luke was continuing to chow down, Meghan had time to finish the craft we’d started the night before. 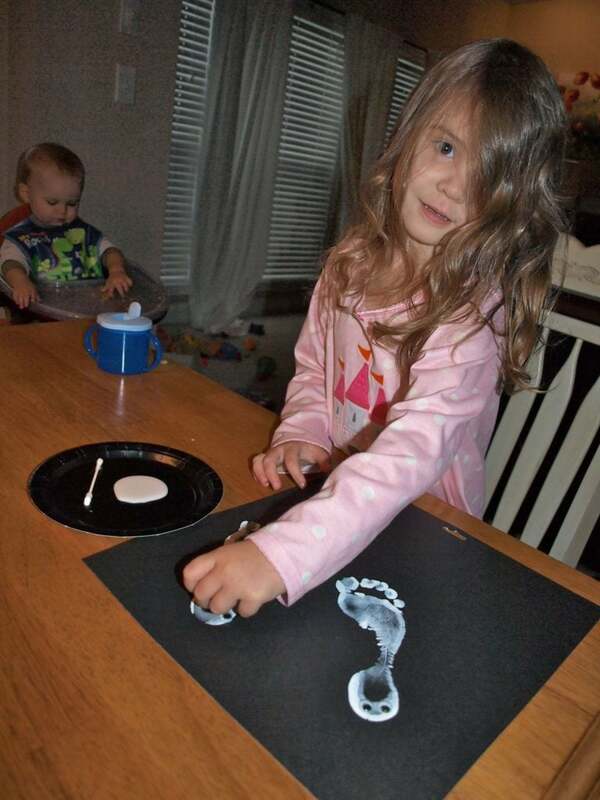 She was much more interested in her ghost feet than breakfast. I love this quick idea! ….I’m going to make these for a new mama in town, print off your recipe, and give it as a gift 🙂 LOVE the simplicity of this! …….how cute is that picture of Luke?! AND the fact that he can out eat his sister. Adorable. I guess I do understand a 4-year old mind because I like apples and raisins but I don’t always like them in my food! These sound yummy for my husband’s breakfast (he’s always leaving for work late)! Good point! I hadn’t thought of it like that, but it totally makes sense. Kind of like how I love nuts, but not in my brownies. These look yummy! what are ghost feet? Well, I saw this recipe in the morning, and showed it to my 3-year-old daughter. I told her we would go to the store after preschool to get the ingredients we needed. She was so excited. Tonight we made the mixture. Now that she’s down for bed, I will bake them so she can eat some in the morning. A great baking recipe for toddlers! Thanks! Luke is so adorable! What an awesome appetite for such a little guy! 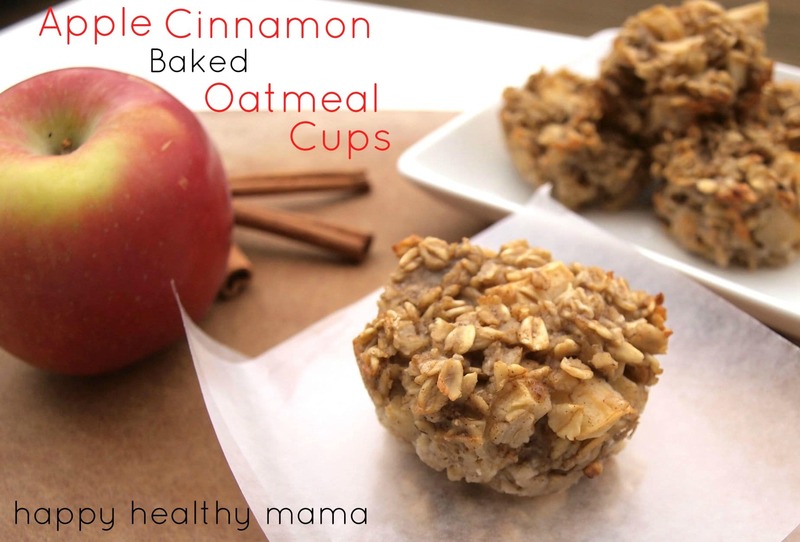 These would be perfect to grab on the go…I hate having to clean the oatmeal pot when I’m in a hurry. Thanks for another winner Maryea! Made them up last night…. LOVE that the ingredients are so simple and on-hand (added a little local honey), baked them up this morning at 6 ( worried that like overnight oats they may change as they soak up the liquid, but nope, fine, hearty!) and it was such a wonderful smell for my family to wake up to! Ryan ate 2 before daycare, I wanted to eat 4 but ate 2 and my husband had 3! Lily wanted a fresh apple…. 3.5 yr olds are like that! Your kids look great. I’m sure you are enjoying these ages as much as we are! 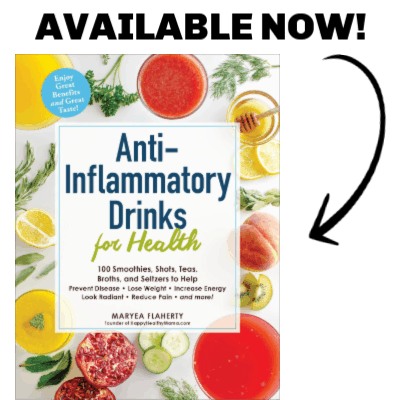 Thanks for the perfect healthy and delicious recipes for busy families!! OMG! THESE ARE DELICIOUS! I made them for me and my friends for our sleepover, but since we all LOOOOOOOVVVVEEEEE vanilla and sugar, we added a teaspoon of vanilla and sprinkled brown sugar on top before putting them in the oven. THANK SOOOOOO MUCH! I made these but instead of making cups, I poured it all into a 9×13 glass baking dish and it came out amazing! I will be making it again tonight! Thanks for the recipe! I’m glad to know it works that way, too. Thank you! We have made these at least once a week the last three, the kids love them and they are easy and so helpful for when I need to just throw them something! I’m making these as a snack for my daughter (9 months) and I while we’re on our preschool field trip with my son (4 1/2). My breastfed daughter can’t tolerate certain foods so I’ve eliminated dairy, soy, nuts, seeds, legumes, corn, and wheat since December. She’s been doing great but I’m still on this very restrictive diet. As you’ve said Maryea, snacking on this diet is soooooooo hard so I’m thankful to have Happy Healthy Mama as a resource. Thank goodness for you! These look so good, I’d really love to make them for my girls. Unfortunately, two of my three are allergic to bananas (so sad, I know… I lament it practically daily) so I’d have to replace that. Would applesauce be too liquidy? Should I add an extra egg and some honey? I’m also considering a coconut dark chocolate version of these cups if they like the apple cinnamon. Oats are so cheap and healthy I love to use them whenever opportunity arises! I think applesauce would work but it wouldn’t be as sweet. The banana also adds sweetness. An extra egg+honey would probably be perfect! These sound delicious. Is there an egg substitute that you know of to use. These would be great, but I have taken out egg. Try 1 and 1/2 tbs of vegetable oil, added to 1 and ½ tbs water and 1 tsp baking powder mixed. Add in a bit of cocoa as well makes it extra yummy. I didn’t have an apple so I added another banana, some chia seeds and more oats. We will see how they come out. Please let me know! Sounds like they are going to be great! Can you tell me the calories that it contains please? How could I modify this recipe to omit the banana? I just can’t handle the banana! I would try omitting the banana and replacing it with 1/4 cup apple sauce and 1/4 cup liquid sweetener (maple syrup or honey). It takes away the “no added sugar” aspect, but if you take away the banana you need something to add sweetness. Please let me know if you try it! Yum, I’m definitely going to give these a try! 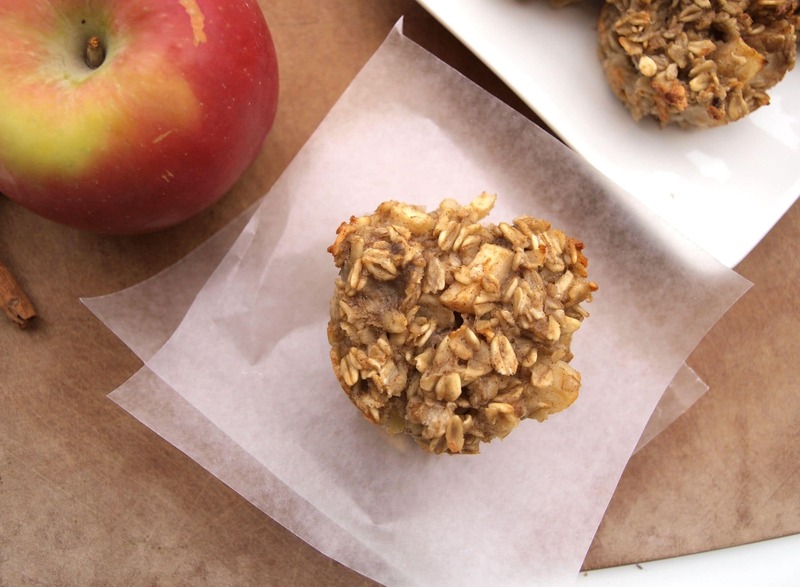 I have a ton of apples in the house and this looks like a delicious healthy treat! Pinning, thanks for sharing! Thanks so much for pinning this recipe, Jody! I hope you enjoy them. thank you so much for posting this. My 11 month old is the same way as your Luke. She will not have anything to do with being spoon fed &I she lets us know for sure its not happening! So I’m thankful for this recipe so she’s not left out when the rest of the family is enjoying a hearty bowl of oatmeal! God bless!!! HI, I would just want to ask how long do these last in the fridge after it’s already baked? Like for instance we don’t get to finish them all and would just like to microwave it the next morning? They will last in the fridge for 2-4 days after they are baked. Aww thanks so much for sharing it, Hemapriya! I’m glad your daughter loved these. I just made a batch of these last night. Loved them. Have you frozen them? I know it says they can be frozen, but has anyone tried it? If so, how do you heat them? Yes, I have frozen them. I reheat them in the microwave. Any recommendations for a banana alternative? Anything else I could use in its place? I would try apple sauce and maybe a little sweetener such as honey or maple syrup. Thanks you for sharing this recipe. These is a good and healthy food for kids. Found these on pinterest and they looked delicious. I’m trying to find more on the go healthy meals, especially because breakfast is so hard for me to find time for. I made these just now, but all I taste is just oats and an apple when I get to one. I used one banana because that filled up 1/2 a cup for me, maybe I should have just put in the extra 1/2. It seems other people really enjoyed, but I think I need to add either honey or vanilla and probably 4 tablespoons of cinnamon for my liking. My taste buds are a lot different from the majority of people I know. I will try again, and thanks! Try adding honey next time. If you’re used to sweeter things, these won’t be as flavorful for you. They are only lightly sweet as the recipe is written. I made the bluberry version of these which were somewhat of a disappointment flavour-wise, and I am trying to figure it out…. Is it the banana maybe? Regardless I love the concept of these “muffins” and I am looking forward to trying the apple cinnamon ones (love cinnamon) but am wondering if apple sauce would work instead of the banana? Yes I do think these would work with apple sauce instead of banana. They may need a touch more sweetener because I think banana adds more sweetness than apple sauce. Good luck–I hope you love this version! What is the calorie content of these? They are 135 calories each. We reheat in the microwave! Could you use quick oats for this recipe? No I used old fashioned oats. I think I read your comment wrong, sorry! I do think quick cooking oats would work. The texture will be a little different, but I think it will still work. Let me know how it goes! Has anyone tried using paper cups liners for these? They look amazing I can’t wait to try them! I used paper liners and it worked ok! I love these little muffins. The recipe is so easy, quick, and yummy. My 21-month-old loves them and always asks for more. I have already made this twice in 2 weeks! Thank you so much for sharing this recipe! Could I use vanilla Greek yogurt instead of the banana? I have a feeling that would work, but I’ve not tried it. Please let me know if you give it a try! I made these just now. They definitely tasted like heath food. As far as the recipe goes, they turned out perfect. My husband and I are ok with them since we are trying to cut back on sugar. But I knew after trying them myself, they weren’t going to be sweet enough for my kiddos. My daughter spit them out, even with sugar free syrup on them. My son did eat most of his. We have never given our kids health food before so it’s expected that this would not taste as good as a pancake or waffle which is their usual breakfast food. It’s hard going from sweet to healthy instead of the other way around. You can add more sugar if you are looking for a sweeter muffin cup. I’m sorry; I haven’t figured that out. Aww so glad to hear that! 🙂 Thanks, Klara! Hi, I’m excited to try these. Do you happen to know the calorie, carb, sugar, fat, etc.? ? I would love to try this recipe, but my pre-schooler would likely struggle with the texture of the diced apples (he likes homogeneous textures). Do you think this would work with applesauce instead of the apple? I made these this morning and the centers are quite moist/wet. Is that from the apples or are they not cooked? Did about 10 min over recommended cook time and the outsides are starting to burn but the insides are still moist. Are they supposed to cook like a muffin inside, or are they more like wet oatmeal? Thanks! They are supposed to be wet like baked oatmeal in the middle. The second day they will be more firm if that’s what you prefer. You can also add more oats if you want more of a muffin rather than baked oatmeal. I don’t see why not. Give it a try! I baked these and used applesauce and apple juice instead of milk. also added toasted pecan pcs and chopped up cranberries and cinnamon and pumpkin pie spice with the apples…OMG so good. Trying to cut out bread and sweets and these are perfect in the morning with my coffee or the afternoon. I don’t like cooked oatmeal but I love these. Thank you for recipe. and a little bit of grated orange peel!!! how many is a serving and how many calories do you think is one cupcake ? Have you ever tried yUsing un sweetened applesauce in stead of bananas? 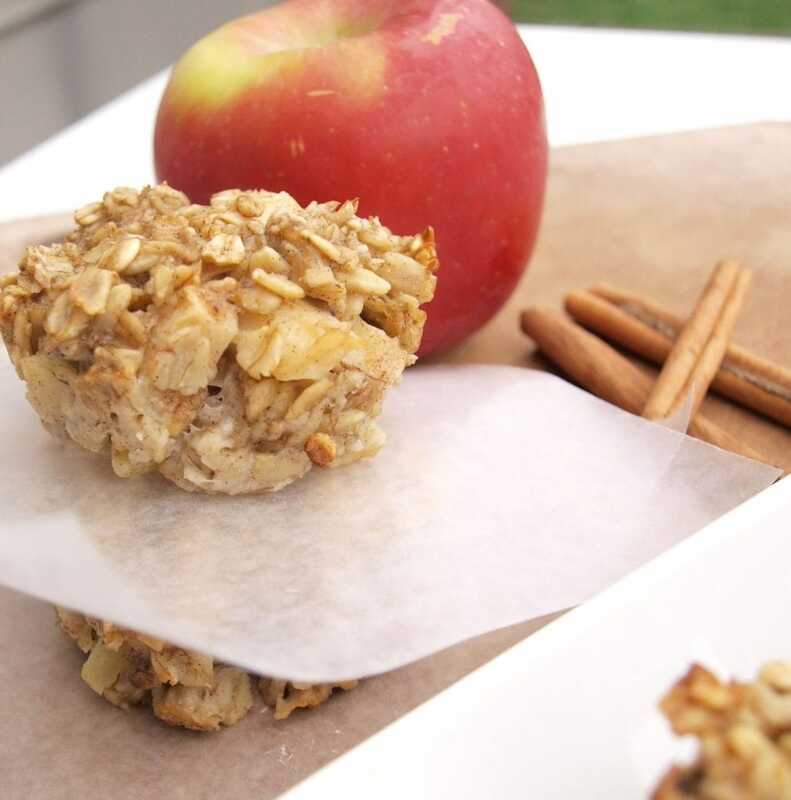 This is my perfect oatmeal snack, I loved using an entire big apple because it added the natural sweetness I enjoy and want my kids to have. Next time I’m going to push the mixture into a square pan (b/c they are much easier to grease) or add parchment paper – and cut them into squares. I think that will work perfectly for this recipe. Thanks for a great and easy modification idea by putting it in the fridge over night! I did that and it worked great. What can you use instead of bananas, as I am allergic? You can use applesauce instead of banana. You may need to add some sweetener as the applesauce won’t add quite the same level of sweetness as banana. Egg allergy. What can I substitute egg for? You can use a “flax egg” or “chia egg” here. I’ve tried both and they work fine! My son has a hard time with bananas, seems to gunk up his system no matter how little ends up in his food. Any suggestions for a replacement? You can use apple sauce in the place of the banana. My 9 month old daughter loves these! And they freeze great so they are perfect to pop out and throw in the microwave for any time of the day!